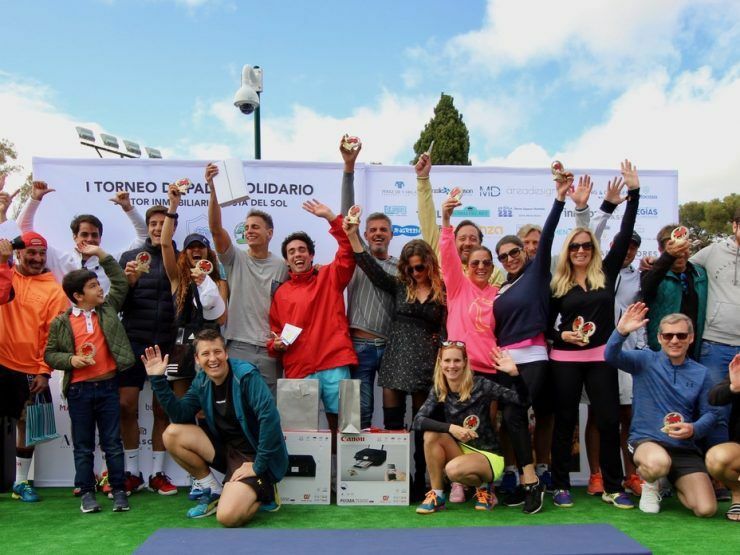 First Solidarity Padel Tournament for Real Estate Sector hailed a success! 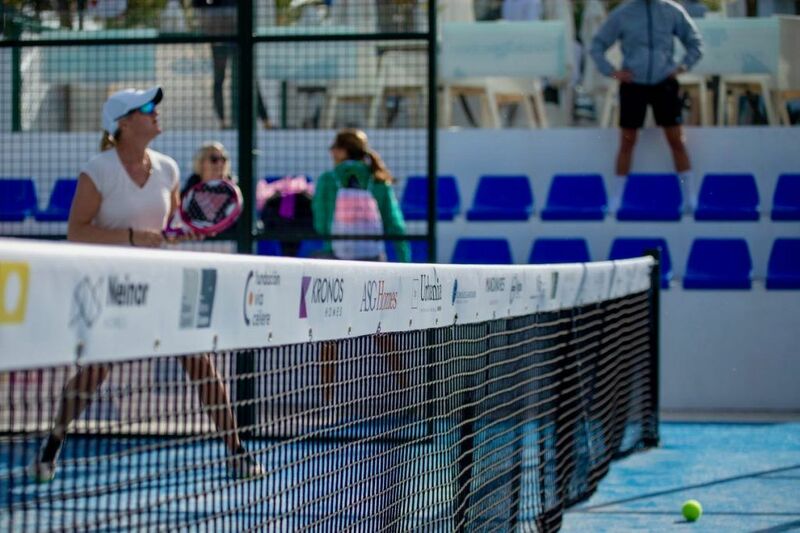 The paddle tennis tournament organised by NVOGA Marbella Realty last week has been confirmed as a heart warming success by participants and spectators, with a significant amount of money being raised for charity. 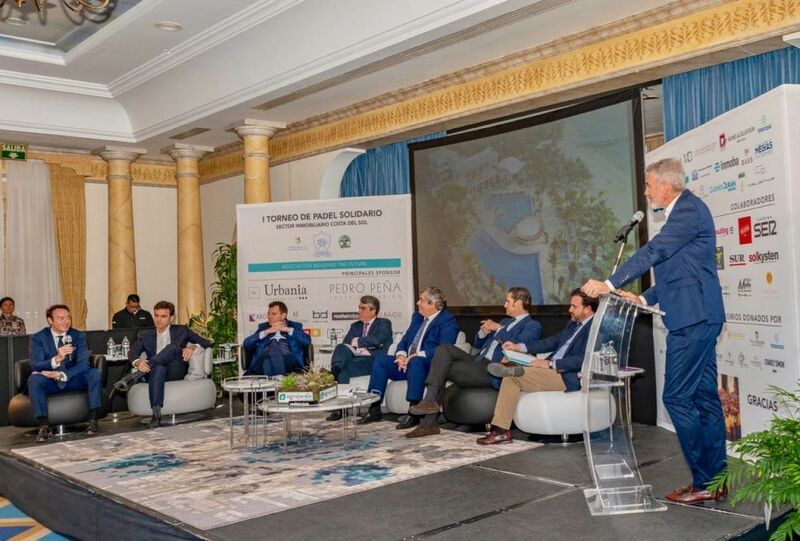 The inaugural edition of the competition ‘I Torneo de Pádel Solidario del sector Inmobiliario’ was held at the Racket Club Los Monteros in Marbella, with play commencing on Friday 5th April. Large numbers of people attended, despite rainy conditions; around one hundred picked up a racket and over two hundred enjoyed watching and taking part in other activities throughout the three days. As part of the weekend event, a Real Estate Seminar was held on the morning of Friday 5th, to which more than 200 people attended, bringing together professionals from every area of the real estate industry such as architects, developers, lawyers, estate agents, marketing experts and interior designers. Thanks to the paddle contestants and many sponsors who supported this worthwhile initiative (91 in total), an incredible 24,500 euros was raised to help school children in Uganda, through the Building the Future Association; and the Centre for Attention to Childhood Diversity, an equine therapy programme in Marbella. A highlight of the occasion was the Spain versus The Rest of the World football match, a lively game, enthusiastically supported, which ended in an exciting 4 – 3 win for the home team. Attendees at the tournament also enjoyed various parallel activities such as Pilates with Sonja Rehr, stretching sessions with Narp Training and a paddle tennis clinic for children with Alberto Rivero. Lucky winners were presented with prizes donated by an important group of sponsors. The prizes won included dinner for two, luxury spa treatments and electronic equipment. NVOGA intends to establish the paddle tournament as an annual event and will continue to encourage colleagues from every sector of the property industry to help support those people most in need. Nvoga Marbella Realty is an established real estate company that specialises in the marketing, promotion and sales of new-build and off-plan developments on the Costa del Sol.